Vets Over 60 Adelaide vets, with a few in country centres, play a role in the scheme. They are the cornerstone of low cost desexing. Local councils. Six Adelaide councils have financially supported C.A.T.S., both as a service to their less well-off residents to have their own cats desexed, and as an efficient way of minimising any cat-related problems. These councils are Unley, Norwood, Payneham & St Peters, Burnside, Port Adelaide Enfield, Holdfast Bay and Salisbury. The community. The C.A.T.S. database shows that thousands of people have been directly assisted with desexing, and many thousands more have rung for advice on how to deal with cat-related problems. The community expects humane treatment of cats, not only owned cats, but also free-roaming ones. Studies in different parts of the US show that 9-22% of households feed free-roaming cats (1), and figures are probably similar in Australia. The C.A.T.S. approach takes into account this community involvement with cats. Cooperation is essential to catch cats, both owned and unowned. If residents are opposed to actions or laws imposed by local authorities, they will find ways of sabotaging live trapping. (Live trapping is only method that can safely be used to catch cats in urban areas.) For example, they will put out a lot of food, so that cats won't go into cages. The traps need to be checked regularly, and this would amount to a large number of working hours for a local government employee. It is much better to enlist the cooperation of local residents. However, this cooperation vanishes once coercive and punitive laws are introduced. 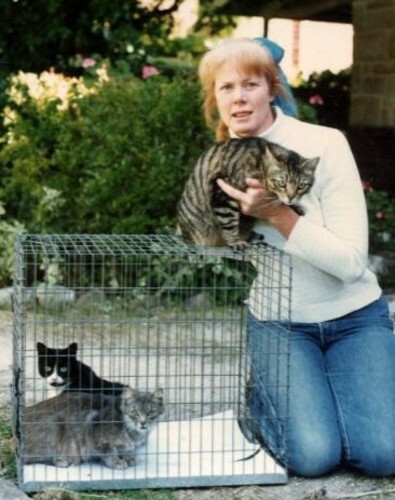 There are several examples from the US where residents sabotaged programmes to trap and remove cats. In both a hospital in Louisiana (2) and the University of Central Florida (described below), residents disregarded orders not to feed cats, and released cats that had been trapped. Education is essential to make people aware of the consequences of not desexing their cat. However, education must be coupled with assistance to ensure that everyone can afford to have their cat(s) desexed. C.A.T.S. is run by volunteers who have a long history in animal welfare. They care about the welfare of all animals, not just cats. They realise that the best way to safeguard this welfare in the long-term is to desex cats and stop more being born.